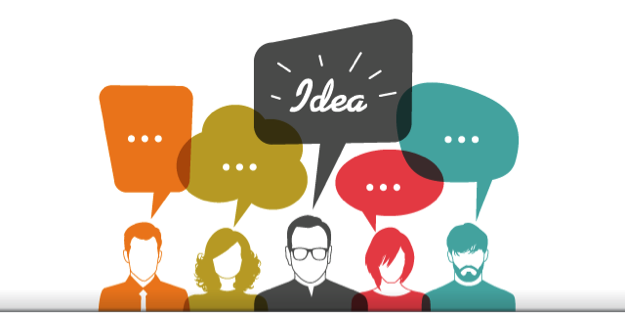 Thank you to everyone who participated in our recent consultation. There was a really productive meeting at the TRACs neighbourhood centre, with NTU staff and researchers, community organisers and Sneinton based community groups all coming together to look at the design options created by the NTU students. The various options were creative and interesting, ranging from a curvy community table to a very simple box made of recycled wood. All the designs showed a lot of promise and only after much debate were we able to settle on a single option to take forward. At the end of the day, simplicity, flexibility and ease of manufacture and transport won out. The chosen design also took into consideration using locally sourced, discarded materials that could be up-cycled for local use. Great for the environment, great for the community and great on the pocket! Well, thanks to Two J's Supermarket for their donation of 12 pallets, NTU's architectural expertise and Sneinton Alchemy's local know how we've combined our efforts to bring you some inspired pieces of furniture! We will be unveiling the furniture this Saturday 30th July at Tricketts Park, behind the Greenway Centre on Trent Lane, NG2 4DF. 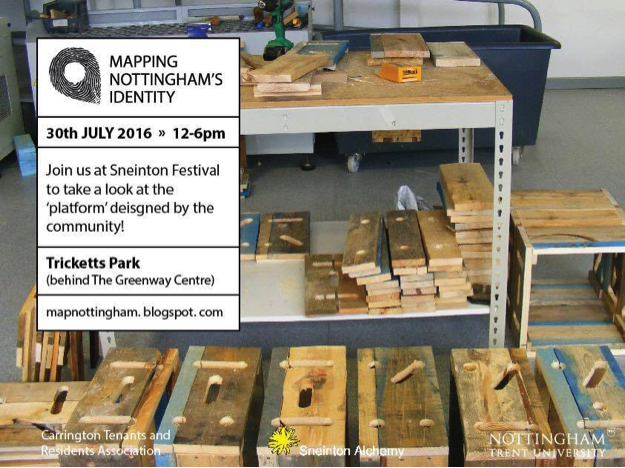 You can follow progress on the Mapping Nottingham's Identity project blog... to find out more please contact Shabana.